This week it was Scott and Donna’s turns to take off and we had Lee pull the drumming load on his very own. This week, like last week, we recorded the night’s music with only Rich’s 2-track MP3 recorder. I’ll have to get back to the multi-tracking soon. Its was a quiet night without any guests to speak of. As far as the song selection, we started with an opening Let It Bleed as Lee was calling for a Rolling Stones song to loosen up the evening’s beginning. 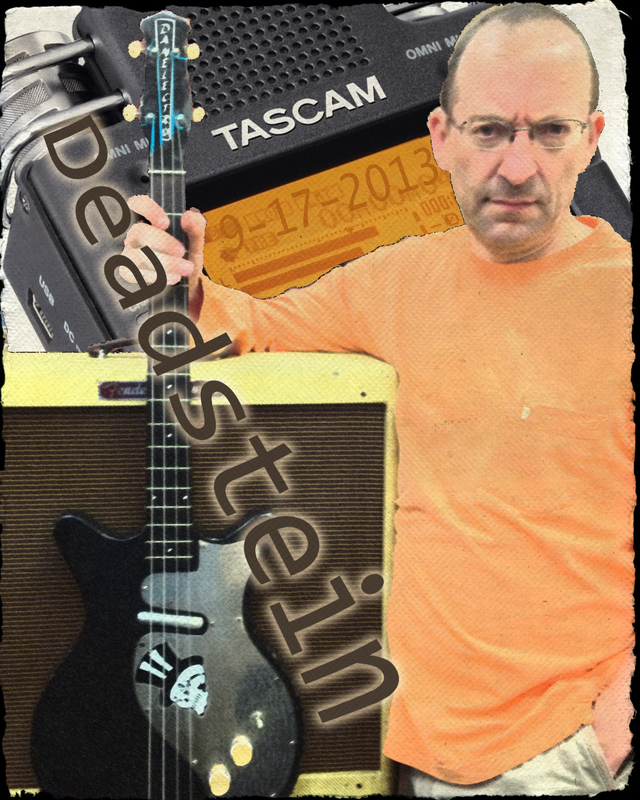 After the Let It Bleed Alan arrived as we launched into more a typical Deadstein, Grateful Dead based setlist. This started with a Feel Like a Stranger. After the Sailor-Saint Rich requested that we play the suite of music he had been listening to earlier in the day from Jerry’s birthday on 8-1-1973. It was the Dark Star, El Paso, Eyes of the World, Morning Dew combo. The whole medley comes in just under 55 minutes. The 16-minute Dark Star opener was spacey and didn’t involve words and the 18-minute Eyes of the World had the extended Stronger Than Dirt type of jam at the end. The Morning Dew was 13 and a half minutes but that was probably due to the lagging tempo rather than any extended jamming. We really should focus on not having lagging tempos in songs. For the second set, it was immediately thrown into a tizzy by the undulating chord patterns of Touch of Grey which I had trouble recovering from for the rest of the night. It was on Touch of Grey that Kevin played his Danelectro bass from c.1959 as the tone of it reminded me of the beginning Phil notes on Touch of Grey. I was a difficult second set for me as my head was not in it, and was out of it. I did make it thought it all and did not freak out, which I am doing right now, Freak Out!